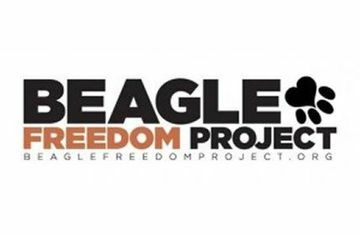 If you haven’t heard of the Beagle Freedom Project, now is the time. From numbers to names, the Beagle Rescue Project is a service of Animal Rescue Media Education (ARME) and works to free beagles, along with other animals from research testing labratories. Merely a labratory number when they are first rescued, they are given a name; a loving, caring home; and taste freedom for the first time. A recent operation involved 10 beagles being rescued from a research labratory in Seoul, South Korea. The Beagle Rescue Project partnered with three Korean groups to save these dogs, who have since had veterinary care and are now up for adoption. Watch a video and meet the dogs on Beagle Rescue Project’s website. Read more about the Beagle Rescue Project and what they do as well as the fabulous people who power the organisation. And, be sure to check out some of their recent animal rescue stories. Ever wondered what companies test on animals and what ones do not? Visit their cruelty-free page that features a poster of companies that do, along with a cruelty-free app that lets you know the animal-testing status of an item you’re thinking about purchasing. Right to Release. Read about a Beagle Freedom Bill they are currently working on passing in a number of states in order to facilitate care for the animals after testing ends as well as to ban cosmetic animal-testing. Visit their facebook page to show your support!